I have just had a completely relaxing day. It involved a delicious lunch, full body massage, scrumptious tea and a beautiful hotel suite. All of this has taken place at the Swan Hotel & Spa at Newby Bridge in the Lake District. Situated beside a picturesque river with rolling hills as a backdrop, this hotel really is a beautiful place. For anyone thinking right now that I am being sponsored in any way to write this post then I will state categorically that this is all off my own back and I am just extremely impressed after a fantastic day. Before I even begin to describe my day in detail I am going to recommend the Swan Hotel & Spa for anyone visiting the south lakes area. I will probably recommend it again before I finish. I will also say that I don’t often wax lyrical about hotels but I am honestly impressed with this place after today and am not afraid to say it. I arrived at the hotel with a friend at lunch time and after checking in and a quick nosy around the hotel we took ourselves into the bar for a bite to eat. 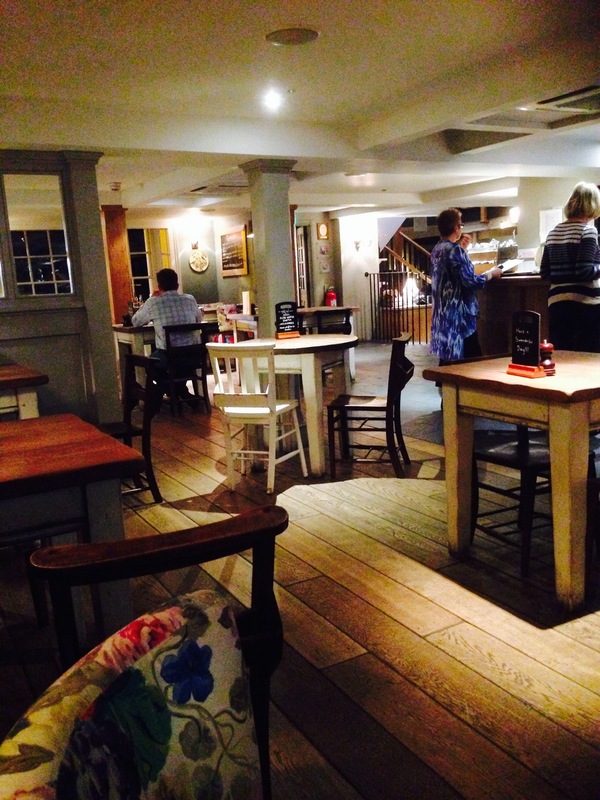 The bar itself is a lovely room with mismatched chairs and solid wooden tables all of which give it a homely feel. I would describe the menu as traditional pub lunch with a twist. I chose the ham tartine which came with fries and when it arrived it was huge! And delicious! After lunch we headed up to the Vu Spa. I chose to be pampered with a full body massage. I’m not used to such luxury these days, a bubble bath without yellow ducks being a treat, and it was lovely. I almost fell asleep! I came out of the room feeling refreshed, if a little light headed from completely zoning out. Late afternoon we went for a wander around Grange over Sands before picking up my friend’s grandson from nursery. He is staying with us for the night at the hotel. On this note I will point out that the hotel is completely child friendly. 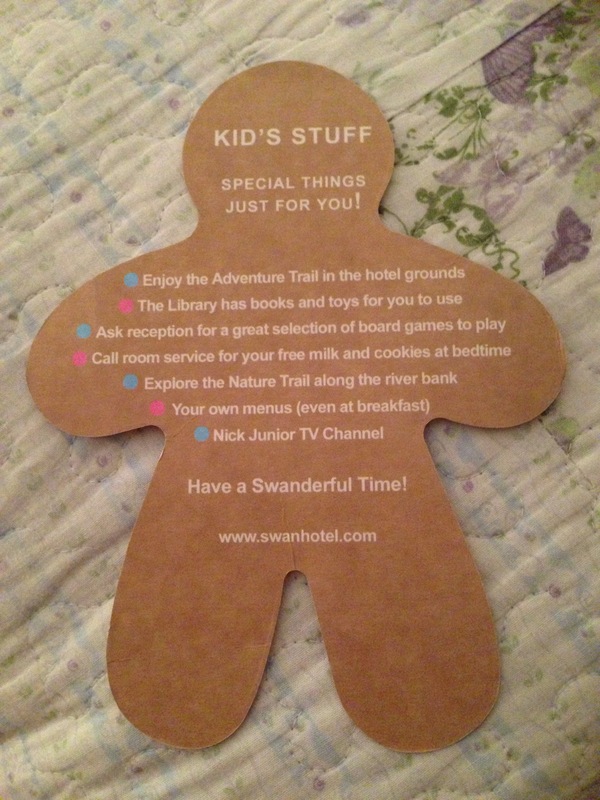 There is a lovely lounge downstairs filled with books and toys, an adventure trail by the river and at night complementary milk and cookies (in the shape of swans). My tea of choice was a burger. Homemade and juicy! I don’t know how this place sells any deserts because the mains are just huge! I also allowed myself a cheeky glass of wine – it would have been rude not to! I am now snuggled up in a warm, comfy bed in the Beatrix Suite ready to settle down for the night. I have really enjoyed my day. I would love to visit again, this time with Mr K and baby boy. The hotel is lovely and the staff are fantastic. If you are in the area then please visit, if only to enjoy the view with a cup of tea and a piece of cake. You won’t regret it. It was a great day. I really enjoyed it.